The Crash Pad gets its green roof installed! Watch it come together as Jeff Cannon, co-director of green|spaces and Blythe Bailey, LEED AP, explain the value and utility of a green roof. Special thanks to Tyler, and his team with Appalachian Land Design, and Brian Youngblood for getting this thing installed smoothly! “LiveRoof is the first prevegetated modular green roof system developed by growers and specifically designed to grow plants on a rooftop environment. The urban heat island effect is the temperature difference between urban areas and their rural surroundings. The temperature differential causes air currents and dust, and even contributes to violent weather events within urban settings. Green roof vegetation helps by cooling the air, slowing air movement and acting as a substrate for pollution to settle out and detoxify. Plants, soil, and air trapped in the soil are great acoustic insulators. Tests indicate that green roofs can reduce indoor sound by as much as 40 decibels, which is of great benefit to occupants of buildings affected by airports, industry, trains and traffic. Succulent green roof plants help reduce the risk of fire. Green roofs reduce the impact of each new building on the municipal storm drainage system and surrounding watershed. They reduce flooding, erosion and artificial heating of water which helps preserve fisheries and other aquatic life. Green roofs reduce the need for on-site storm water management systems. When combined with an effective rain garden (bioswale), green roofs can make it possible to have zero discharge of rainwater from the site, therefore saving money by not having to connect to the storm sewer system. Green roofs filter water prior to returning it to the aquifer. They buffer acid rain and remove nitrate pollution as water slowly percolates through the soil. 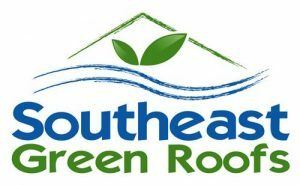 Call Appalachian Land Design for a quote on installing a Green-Live Roof!